After playing as a bassist alongside pop-punk powerhouse Thank the Academy and securing a spot at number nine in the iTunes rock chart, sharing the spotlight with music giants Queen and Foo Fighters, 19-year old Ellis Lawrie moved into electronic music in 2016. Growing up listening to a range of artists from a diversity of genres such as Muse, Zero7 and Blink 182, Ellis’s music has been influenced by many different backgrounds, from jazz to rock and punk. In the early stages of his career, Ellis quickly made a name for himself worldwide, his viral electronic remix of Ed Sheeran’s ‘Shape of You’ soaring over 50 million views on YouTube. Since then, his releases, including ‘Migraine’, ‘How Does it Feel’ and ‘In The Wild’ have been reeling in a consistent stream of over 200,000 monthly listeners on Spotify, with devoted fans of Ellis’s music following his every move in the industry. Inspired by house music artists including Mike Williams and Martin Garrix, young music producer Ellis is working hard to grow his fanbase and extend his reach further across the globe, creating and releasing one catchy track after another. Ellis has released new music with some of the industry’s leading record labels, including NCS, bitbird and Selected. Characterized by memorable melody lines, quirky guitar riffs and heavy drops, Ellis’s music is easily recognizable, loved by fans across the globe. Beginning in the West Midlands of the UK, since 2016, Ellis has branched out across Europe, conquering the O2 Academy in Leeds, packing out top-spots at venues in London and playing at world-renowned music festival, Amsterdam Dance Event, in 2017 and 2018. Ellis has since moved from home in Birmingham to pursue music full time in his London apartment alongside other producers including Jay Pryor, Kwon and Josh Kenny. Under Univus Management and Set The Tone, Ellis’s potential for the coming years appears boundless. Amidst his travels across Amsterdam playing at ADE last weekend, I managed to grab Ellis for a few minutes to conduct a short interview. We spoke about his aspirations, highlights, and advice to up and coming artists. Amidst the crazy whirlwind that’s been the past couple of years as a house producer, the best part of my job has been playing alongside some of my biggest inspirations and hottest current DJs - Tchami, Brooks, Jax Jones and Curbi, to name but a few. These are producers that I’ve been listening to for year, so sharing the spotlight with them has been pretty surreal. What do you have planned for the near future? I plan to explore a lot of different styles. I want to stick with electronic music and preserve my sound as an artist, but I’d also love to continue growing my music independently. I like the idea of branching out into new flavors and styles, drawing upon my interests in jazz and rock and allowing those to inspire me to explore new branches of electronic music. I want to stick with electronic music and preserve my sound as an artist, but I’d also love to continue growing my music independently. Are you still involved with Thank the Academy? I’ve had some fantastic times with Thank the Academy and we’ve all made some wonderful memories. The five of us will always be up for getting together for a jam and putting on a local show for our friends every now and then, but as for making music on a full-time basis, we’re all kind of doing our own thing at the moment. Our frontman, Joe, lives in Norwich working with the BBC, I’m in London, and the other three boys live in Birmingham running their businesses from home. I’m still involved with Thank the Academy and we’ll always be best friends - we’re just less active at the moment while we pursue other things. What advice would you give to house artists just starting out in the industry? At the beginning, I’d say the best thing to do is make as many tracks as you can; focus solely on honing your craft, becoming a better producer and really learning to navigate the industry you’re in. So many beginners put a lot of effort into marketing, generating exposure and building a following. That stuff’s important, don’t get me wrong. But it’s nowhere near as important as growing and learning as much as possible right from the outset. You can find Ellis’s music on all major distributing platforms, including Spotify, YouTube and Apple Music. You can also find him on Instagram at @ellislawrie. Self-help blogger and freelance writer. Personal development writer and founder and editor of Mind Cafe (https://medium.com/mind-cafe), a Medium publication. 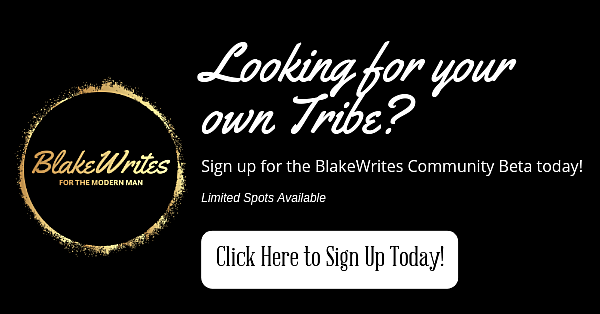 Help us keep BlakeWrites growing!